2 Peter 2 focuses on judgment — an unpopular topic for today’s American church. 2 Peter 2 and the Epistle of Jude present the same ideas in the same order, often using the same words. Did Peter copy from Jude? Did Jude copy from Peter? Or did they both copy from someone else? Both Peter and Jude appear to quote from a non-biblical source called 1 Enoch. Peter is writing to churches which are troubled by false teachers. These false teachers are distorting the apostolic gospel and deceiving believers into leading immoral lives. In 2 Peter 1, Peter insisted that the apostolic gospel is a revelation from God while the message of the false teachers is a message of their own imagination and invention. 2 Peter 2 focuses on the coming judgment those false teachers can expect. 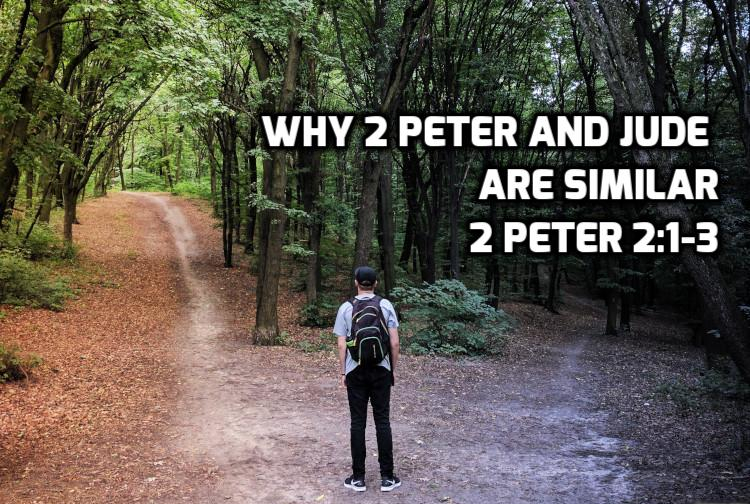 Why are 2 Peter 2 and Jude so similar? Peter wrote first and Jude later borrowed from Peter. Jude wrote first and Peter later borrowed from Jude. Both Peter and Jude are borrowing from some third letter they both had but that is lost today. While scholars advocate for each point of view, my conclusion is the Peter wrote first and Jude copied from Peter, because in one place Peter and Jude use similar words, but they say something different. Peter tells his readers to remember what the apostles and prophets told them because mockers are coming who will claim otherwise. When that happens, Peter encourages them to remember his words as one of the apostles and not be persuaded to abandon those promises even if it seems like their fulfillment is a long time coming. Jude says the same thing with a significant difference. Jude says: The apostles said that scoffers will come and I want you to remember their words. Since we know that is something Peter said in this letter, Jude’s language suggests he is liberally quoting Peter and adapts his language in this spot to reveal his circumstances. Peter’s use of the future tense here indicates that it will always be the case that they will have false teachers among them. These false teachers claim to follow Christ, but their lives deny their claim (deny the Master who bought them) since part of the gift of saving faith is a longing for holiness and righteousness and a repentance from sin. They way of truth is blasphemed because others look at their hypocrisy and reject the gospel. The fact that the false teachers appear to be prospering now means nothing. Sin always has consequences. Their judgment is coming. Peter has just argued that no religion made up by human beings is equal to one revealed by the Creator of the Universe, and because God revealed this message, it is objective truth. We should pay attention to his warnings as we have the same kind of false teachers among us today. Next: 07 2 Peter 2:4 Does Peter quote 1 Enoch?